To be known as dress code of politicians and leaders since the days of the freedom struggle, khadi has come a long way. Khadi is worn as jackets, skirts, sarongs, kurtis, wrap-arounds and tops. Also known as Nehru jackets, khadi is now one of the most required materials among the young and old in a similar way these days. Now they are so much in fashion that people have started calling it MODI's jackets, as now it’s emerged as hot fashion trend among the urban youth. 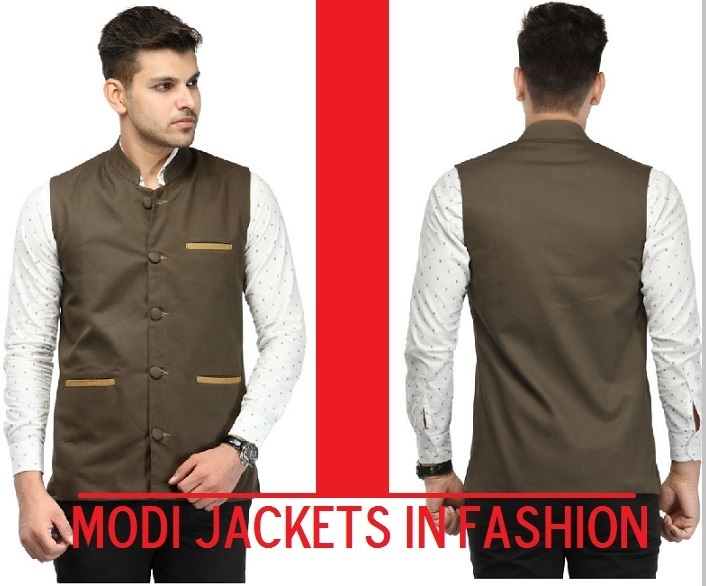 Check out the latest Modi Jackets ideal for Wedding and Winter Season. So Try out!!! 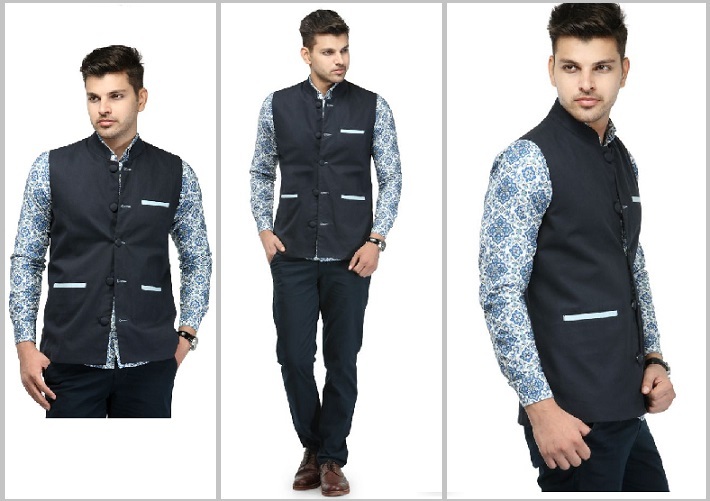 Navy Blue Haute Couture Nehru Jacket – This would look superb combined with printed floral shirt and a simple pair of black jeans this party season. 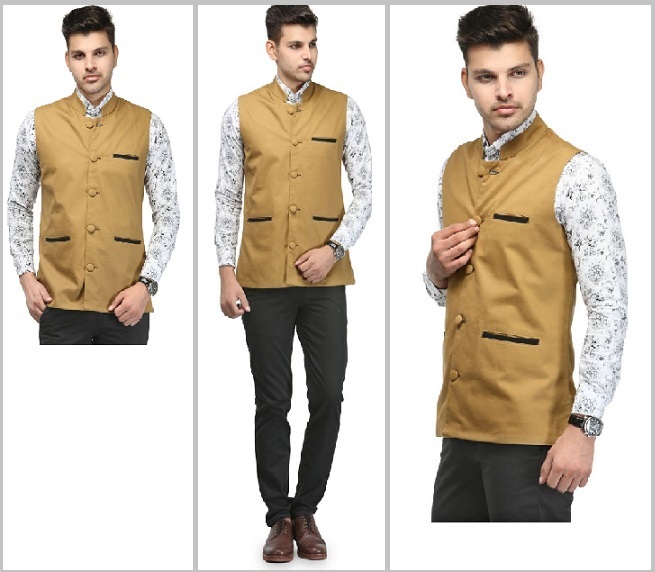 Golden Color Modi Jackets: If you are thinking of wearing some bold hues and vivid motifs that gives way to the safety of dark, neutral colors – especially when it comes to more conservative pieces such as jackets.